Twitter lists to the rescue! 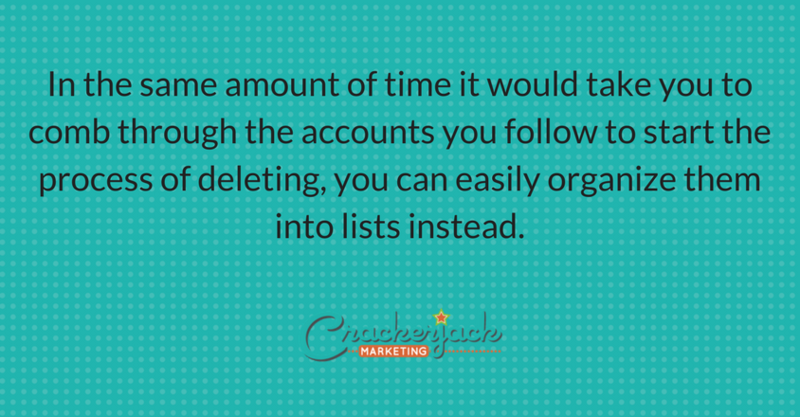 In the same amount of time it would take you to comb through the accounts you follow to start the process of deleting, you can easily organize them into lists instead. 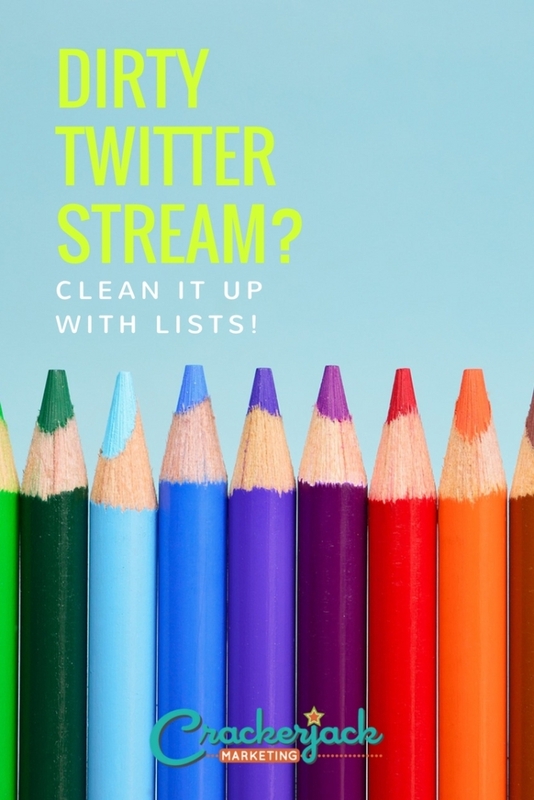 After you have them organized, you can then add your lists as a stream using your favorite Twitter application, such as HootSuite or TweetDeck. 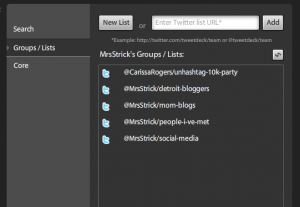 Both HootSuite & TweetDeck will allow you to create and organize Twitter lists on the fly. 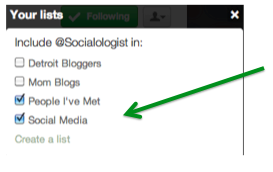 Or, if you prefer, you can add and organize lists directly at Twitter.com. The trick to using lists effectively is to not have too many, or too few. Think about who you are following and how you would like to organize conversations or likely topics and plan your lists accordingly. For example, if your brand distributes or publishes children’s books, you may want lists for customers, children’s literature advocates, parenting and another one for mom bloggers. No matter what product or service your brand offers, you should be following your competitors, so you’ll want a list for them too. Now that you’ve thought through how you want to organize everything, it’s time to start creating those lists! We’re going to give you the walk through on how to do it from Twitter.com; you can find out more on how to create a list on HootSuite here, or on TweetDeck here. From your Twitter home page, click on the word ‘Following’ This will bring you to a page listing all of the people you follow in reverse chronological order. Select the appropriate list for this account. If you need to start a new list, just click ‘Create a list’ and enter the information. The user you’ve selected will be automatically added to the new list you’ve created. You don’t need to add every person you follow to a list. Keep it neat by curating the lists that are most important to you. You can also add a person to more than one list, which is helpful too. 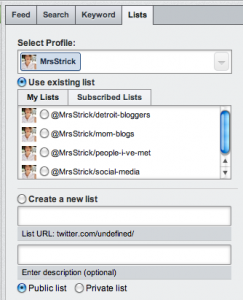 Once you’ve created your lists, simply add them as a stream or column in your favorite Twitter application. In HootSuite, it’s as simple as clicking the ‘Add Stream’ button, and choosing your list. The process is very similar for Tweet Deck too; click the ‘+’ button, select ‘Groups/Lists’ and choose the list you’d like to add. After you’ve added your streams or columns of lists, you can move them wherever you’d like and start following a more targeted conversation and joining in with those Twitter users most important to you. 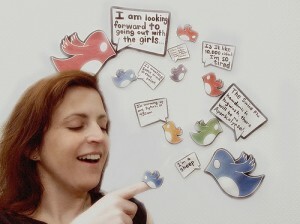 What type of lists will you be creating on your Twitter account? How do you use Twitter lists? Please tell us in the comments. https://crackerjackmarketing.com/wp-content/uploads/2017/02/CJM-Header-Logo-New.png 0 0 Stephanie Schwab https://crackerjackmarketing.com/wp-content/uploads/2017/02/CJM-Header-Logo-New.png Stephanie Schwab2011-08-02 23:25:032018-02-12 05:58:07Dirty Twitter Stream? 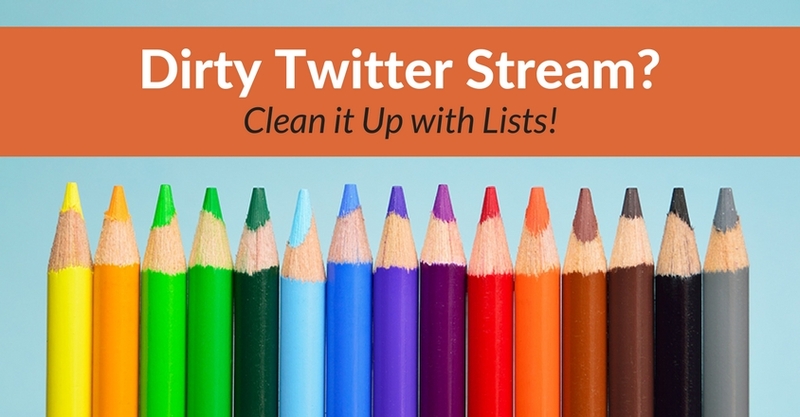 Clean it Up with Lists!